As puberty hits, one of the things that will immediately strike you with boys is the smell. As hormone levels rise and body hair begins growing en-masse, boys around the age of ten start to exhibit the usual body odor. Girls will follow, a few years further down the line but in general, this process occurs with both genders right between the ages of 10 and 13 and cools off three to four years later, if not sooner. Thankfully, in order to combat this, there are numerous products out there that help control a growing child’s body odor. The most popular of which are deodorants. 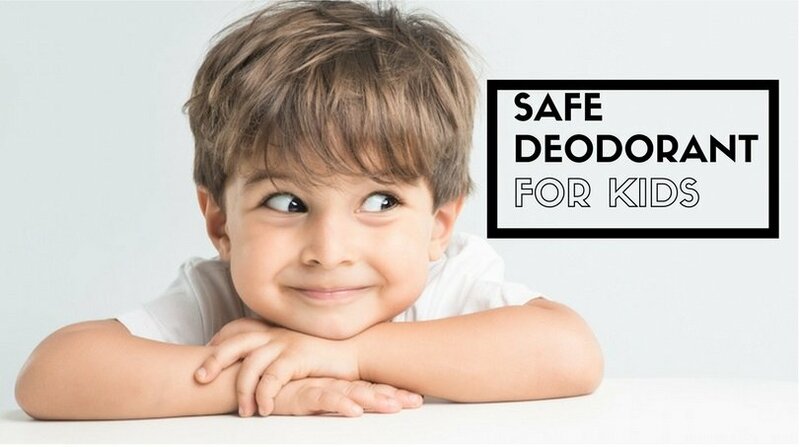 To help you a bit with choosing the perfect one for your child, let’s take look at some of the best deodorants for kids, available in the market. Last updated 02 January, 2019. The market is full of competition and there are thousands of products competing for your attention. However, when it comes to kids, only a few serve the purpose. And only the ones that do, have made it to our list. So here are 10 of best picks, starting with “Fresh Kidz”. 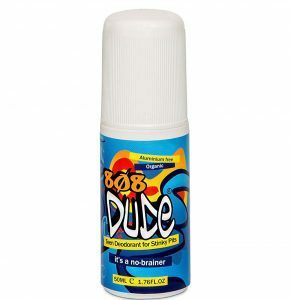 This product, obviously aimed at the male gender, is designed for children and young adults aged 8 and up. The deodorant comes in four different flavors and is sold in small, 1.86 fl oz packages. To be as skin-friendly as possible, the Fresh Kidz deodorant is designed as a roller instead of a spray. This is great for children with skin conditions, specific allergies or those who just prefer a smoother, softer touch instead of the harsh stream of a deodorant spray. The spray in fact sometimes ‘stings’ and may actually be perceived as slightly painful by young teens whose bodies have not fully developed yet. 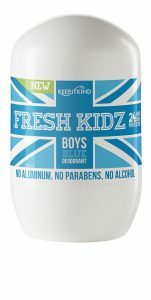 For $7 a bottle, Fresh Kidz Boys Natural Deodorant is a skin-friendly, healthy and affordable solution that, thanks to its five different flavors, is guaranteed to smell great. A simple product for solving a simple problem at a simple price. What more could you ask for? The Coconut Dream flavor of the popular ‘Fields of Heather’ brand is a great unisex choice, whether for young teens or even tweens. It comes in a slightly above-average-sized 2.5 fl oz. Bottle and is wholly organic, meaning that it hides no chemical compounds or synthetic components. It does include minute amounts of Aloe Vera and some vitamins and essential oils, which are meant for soothing the skin but can still, unfortunately, cause allergic reactions in some individuals. You must be aware of any existing allergies before you try this on. Like many health-conscious solutions, this one is a roller, though the rolling surface has been made especially large on this particular model. This also makes it easier to use and prolongs its longevity. Whether it is used for a boy or a girl, the Coconut Dream-flavored Fields of Heather deodorant is effective. It comes in a larger package than most, smells great and is completely organic too. Just watch out for any allergies your little one might have. We’ve already covered the boys’ version of this deodorant and most of the same features go for this female-specific version as well. The main difference is the smell; while the boys’ flavor features a whiff of citrus and a fresh, appealing tone, the girls’ version consists of lavender and vanilla which form a soft floral scent. Both flavors come in the same 1.86 fl oz. package. They also last roughly as long; the manufacturer posts 24 hours as its average and both are known to easily live up to that claim if applied correctly. Truth be told, there are no real discernible differences besides the odor. Just like its ‘boys‘ counterpart, the Fresh Kidz Girls Natural Deodorant is a healthy, practical, inexpensive and attractively-styled compact package for a deodorant, including a great smell and comfortable roller application. Truly’s All Natural Deodorant for Kids is a great option for children just hitting puberty. It’s got a neutral but pleasant scent and features coconut oil and exclusively organic ingredients; no GMOs! In spite of the ‘for Kids’ label, there aren’t many differences between this version and the regular, age-non-specific one of the same name. Still, Truly’s Deodorant, shipped in its rather unique cream form, to be applied to the skin by hand, is known to be of high quality, with a great scent that can stay on for much longer than the claimed 24 hours. 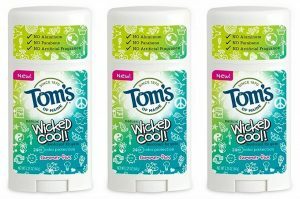 The creamy consistency of the deodorant itself is a welcome surprise but the fact that it is available in countless additional flavors is just a nice bonus. However, $12 for 2.5 fl oz. is perhaps not the best deal in the world but you do get a great product and that’s what counts, right? 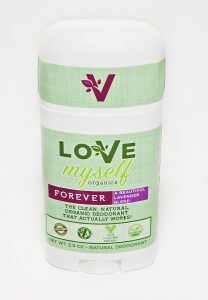 Like many others, the Love myself FOREVER is a brand of purely organic, health-focused deodorants available in a handful of different flavors. This particular one smells of lavender, which makes it more suitable for girls in most cases, though the odor isn’t that bad on boys, either. Note that a NAKED version, featuring no scent at all, is also available. The Love myself FOREVER contains coconut oil, baking soda, and some essential oils too, with no mention of Aloe Vera or any other allergy-triggering substances, not to mention of course a total lack of any synthetic ingredients. The scent is rated to stay on for some 24 hours after being applied and it does seem to manage that figure in real life testing, albeit barely. Like the Truly’s, this deodorant is also cream-based, though its soft enough inconsistency and can also be used as a slightly large roller. All in all, at $12 for 3 fl oz. and great quality, you can’t go wrong with some Love myself FOREVER. We definitely recommend it. If you want a deodorant that provides a pleasant fragrance for the youngsters all day long, then this deodorant might be an ideal choice. You can expect nothing less, given Tom’s reputation in producing safe natural products. While this particular product is specially formulated for boys, there’s also a similar one for girls that comes with a different fragrance. 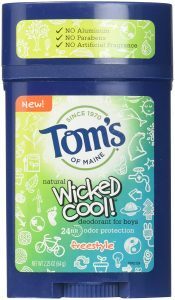 This deodorant is made from natural ingredients and provides a 24-hour odor protection for boys. It is a great solution to the stinky pit problem. No artificial fragrances are used which makes it very tolerable and mild. The absence of potentially harmful artificial ingredients such as parabens and aluminum makes it safe for the skin. Interestingly, this product belongs to the collection that goes by the name of “Made to Matter”, which makes it a standard natural product. Thus you have very little to worry about. If you’re looking for an organic deodorant that can last your little girl the whole summer, then you may want to consider this product. This product is specially formulated for kids and provides 24-hour odor protection with a fragrance that reveals its natural essence. No animal ingredient is used, neither is alcohol nor aluminum, which makes it especially desirable to vegans. The absence of parabens also means you can rely on the safety and quality of this deodorant. It’s pretty easy to use with no hidden side effects. It will be impossible not the notice the natural fragrance and it will make you want to spend more time together. Get this product for your damsel and you may never search for another deodorant, ever. Kids always seem to be confident when they smell nice around pals and it’s even easier making new friends. You know, some kids are “innocently” mean; they don’t have a problem pointing out some other kid that doesn’t smell nice. And you don’t want your teenage boy to make the “headlines”. A deodorant like this one from Australia is one of the best ways to ensure your boy is no longer offended because of a stinky pit. This deodorant is made from natural ingredients and doesn’t contain harsh chemicals like aluminum, which makes it a safe option for the skin of a teenager. The use of essential oils helps to get rid of the bacteria that are responsible for bad smell. When applied to the body, it dries very quickly and doesn’t stick. Your boy will be proud of the soft scent and will always want to announce himself! Considering the fact this product is made by a bestselling teen brand in Australia, you have every reason to trust its quality. If you’re looking for a popular deodorant that can really control the scent of a growing teen, then the Teen-Spirit Antiperspirant-Deodorant, Pink-Crush, 1.4-oz might be exactly what you need. There’s no denying that young ladies need to smell nice all through the day; with a deodorant like Teen-Spirit Antiperspirant, this can be well taken care of. This deodorant doesn’t only combat the smell but also brings a sassy fresh fragrance that makes your little damsel glow. Her protection from odor is guaranteed just as the sweat is also taken care off. Another benefit of using this product is that it doesn’t leave any white residue and causes no irritation whatsoever. It’s all about going natural and keeping up the girlishness of your kid. No teenage girl should be without the Teen-spirit Antiperspirant-deodorant. It is the perfect crush they need! There is no doubt that you need a good fragrance to keep up with the boyish or girlish side of your kid. But this can only be possible with the right deodorant because not all products that you see on the counter are worth the bill. You will want to get something that doesn’t contain parabens or any of those natural ingredients that may be harmful to their skin or their health in general. The 2-Pack Certified-Organic Kid’s-Deodorant Stick is one such product. This deodorant comes packed with organic natural ingredients that help maintains your child’s skin health. No parabens, aluminum or any of those worrisome chemicals or artificial colors are used, so those with skin sensitivities can rest easy. It absorbs quickly when applied and can last all day. It doesn’t leave any residue and is perfectly suitable for vegans. Share this Infographic using code given below. Any of the above deodorants are a great choice for kids, be it a male or female child. What primarily separates them is their scents, their method of application and some of their ingredients. A careful dissection of all these different aspects is needed to answer the most important question, that is: Which one is best for my child? We hope that, with this guide, you will be able to find the answer. How did you forget Good For You Girls? We filtered so many products on amazon and may be this one would have come across, but could not make to our ultimate 10 finalists. But if you like this product tell me more about it. Fantastic post! Very helpful! Thank you.